Tired of the hair dryer cluttering up the bathroom counter? Or do you need organized storage for tablet, laptop, and smartphone chargers in your kitchen or nightstand? 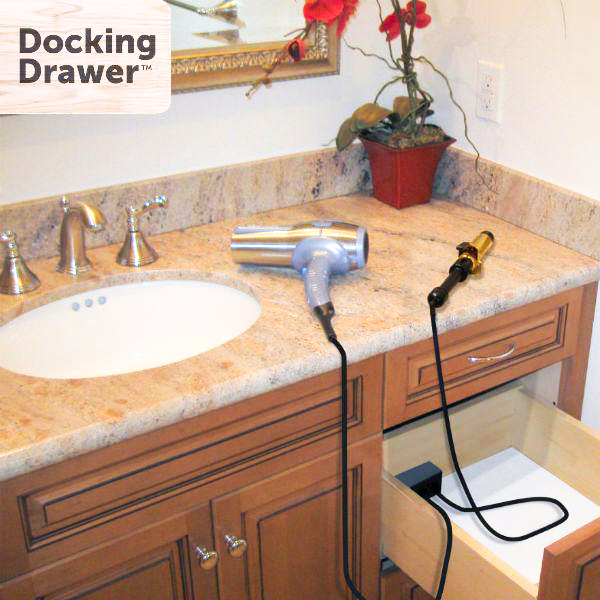 Get a docking drawer or several installed in your home today! 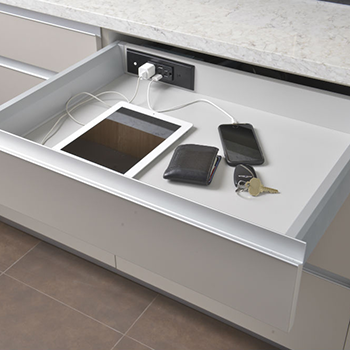 It's the only safe, legal, and easy-to-specify drawer outlet on the market! Be sure to give us a call or check out our blog for info on which Docking Drawer outlet is right for your application!